Health Care Power of Attorney. A form appointing someone to make choices about your health care when you can’t. Have you done your end of life planning yet? It’s something no one wants to think about, much less actually do. However, it’s critical that you make a plan so that your wishes can be carried out. Do you care about whether the doctor takes heroic measures? Do you want to be kept on life support? Do you want to receive treatment if there’s no chance of you resuming a normal life? Equally as important, who do you want to have the authority to make these kinds of decisions for you if you aren’t able to do so yourself? Last year, a change was made to Medicare so it will pay your doctor to take the time to talk with you about these important considerations. You should ask your physician to discuss some of the issues and to help you towards decisions. Don’t wait until you’re in the ER and in the middle of a healthcare crisis. Make your decisions now, put them in writing thru a healthcare directive or healthcare power of attorney and be prepared. For more information about end of life planning, go to our website www.diesmart.com. This entry was posted in Health Care Power of Attorney and tagged diesmart, end of life planning, estate, life support, medicare, power of attorney, trust on April 2, 2017 by Minna Vallentine. Have you made a plan? End of life planning is something most people don’t want to think about. They say that they still have time since they don’t plan to die for many years. However, this may not be true. We can’t predict when we’re going to come to the end of our life. We found two TED talks that are very thought provoking and may get you started on planning what you want to happen at the end. For more information on end of life planning, check out our website www.diesmart.com. This entry was posted in Health Care Power of Attorney and tagged diesmart, dying, hospice, power of attorney, Probate on June 26, 2016 by Minna Vallentine. 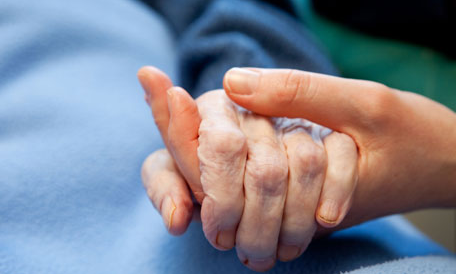 Who decides whether to terminate end of life care? The answer may seem obvious. You, or your designated agent make this decision. You have prepared a living will and left instructions for your agent to follow or, if you are still able to speak for yourself, you tell the doctors what you want. In Texas, this is not true. Because of the Texas Advance Directives Act, a hospital ethics panel – not you or your family – decide whether to end care! Last October, Evelyn Kelly learned this the hard way. Her son, David Chris Dunn, a 46 year old former county sheriff had entered Houston Methodist Hospital, transferred from Bayshore Medical Center in Pasadena. He had a mass on his pancreas and was in renal failure. He’d been intubated for a month and the doctors had kept him sedated so he wouldn’t disturb the tube in his throat. Dunn couldn’t verbally respond to questions but he followed his mother’s movements with his eyes and he could nod in response to his mother’s questions. One day, the chairman of the hospital’s Bioethics Committee told Ms. Kelly that the doctors had met and decided it was time to end David’s medical care. 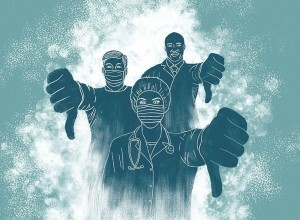 The hospital ethics committee was going to meet in 48 hours to make its final decision. Ms. Kelly had made it clear that, as a born-again Christian, she wasn’t going to take her son off of life support. Chris Dunn died in December 2015. It’s rare for a patient’s case to end up before a hospital ethics committee only because most patients die before the process is completed. However, when it does, it’s very difficult to stop the process based on a law signed by George Bush in 1999. There are several other cases that have been reported. Here’s one that happened in 2005 when Zee Klein’s 91 year old mother, Edith Pereira, was taken to the Texas Medical Center with a urinary tract infection. She had brittle diabetes and had gone blind from the disease but her heart and lungs were in good shape, she could still feed herself and she was fairly lucid most of the time. Klein was dumbfounded. She managed to have her mother transferred to another hospital where she lived for about six months before dying. Be sure you know what’s legal in your state and be prepared. For more information about advance healthcare directives and living wills, go to www.diesmart.com. This entry was posted in Health Care Power of Attorney and tagged advance directive, diesmart, dying, end-of-life care, healthcare power of attorney, Living Will, Probate, www.diesmart.com on March 27, 2016 by Minna Vallentine. Who has your healthcare power of attorney? A healthcare power of attorney is the document where you name the person who will make medical decisions on your behalf when you are unable to do so. Equally as important as having this document is telling your family who it is and why. A legal battle started a short while ago disputing whether Sumner Redstone, the 92 year old titular leader of both CBS and Viacom (who earned a combined $24 million in compensation from the companies in fiscal 2014), still has the mental capacity to make informed decisions. The suit was brought by Manuela Herzer, a former companion to Mr. Redstone. The two dated between 1999 and 2001 and, according to her, still maintain a close relationship. She was legally designated as the person to make Mr. Redstone’s medical decisions. However, in October, new documents were executed that stripped her of this power and named, instead, Phillippe Dauman, Redstone’s longtime lawyer and CEO of Viacom. In court filings, Ms. Herzer claims that Mr. Redstone does not have adequate mental capacity to replace her and has asked the court to make him undergo a medical evaluation to prove her point. Most of us don’t earn $24 million dollars in one year and don’t have the kind of net worth of Sumner Redstone. However, the point is still as valid for you and me as it is for him. If you make changes in your healthcare power of attorney or other legal documents that relate to who can make decisions on your behalf, it’s a good idea to tell those involved so they will be aware of what you’ve done and why. For more information about a healthcare power of attorney and other estate planning documents, go to www.diesmart.com. This entry was posted in Health Care Power of Attorney and tagged diesmart, estate, Estate Planning, healthcare power of attorney, Probate, Sumner Redstone, www.diesmart.com on November 29, 2015 by Minna Vallentine. Who makes decisions if your divorce is not finalized? I came across a blog the other day that made a very important point. If you are in the process of divorcing and have a medical emergency, who will make decisions on your behalf? 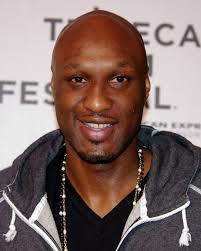 When Lamar Odom was recently found unconscious in a Nevada brothel and was rushed to the hospital, who did the officials call? They called Khloe Kardashian. Although they are in the process of finalizing their divorce, in the eyes of the law, they are still married and unless an advance directive for healthcare states otherwise, is the person who can make medical decisions on his behalf. Unless you just don’t care, when you are getting a divorce, it’s critical that you update your advance directive to name someone other than your soon to be spouse to decide what the doctors should and shouldn’t do if you have an accident or a sudden health emergency. 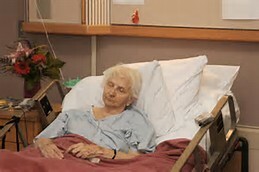 To find out more about advance care directives and planning for the end of your life, go to www.diesmart.com. This entry was posted in Health Care Power of Attorney and tagged advance directive, advance healthcare directives, diesmart, Health Care Power of Attorney, inheritance, Probate, will on November 1, 2015 by Minna Vallentine.